A record entry will be on show at the PSA Northumbria Open 2015, between 6-8 March, at The Northumberland Club, Jesmond, Newcastle Upon Tyne. Well done to everyone who has entered the competition, the draws are full to the brim, and it promises to be an exciting and fun weekend of squash! We have a lot of action to pack into the 3 days, and we ask that all players arrive in good time for their matches to allow the schedule to run smoothly. 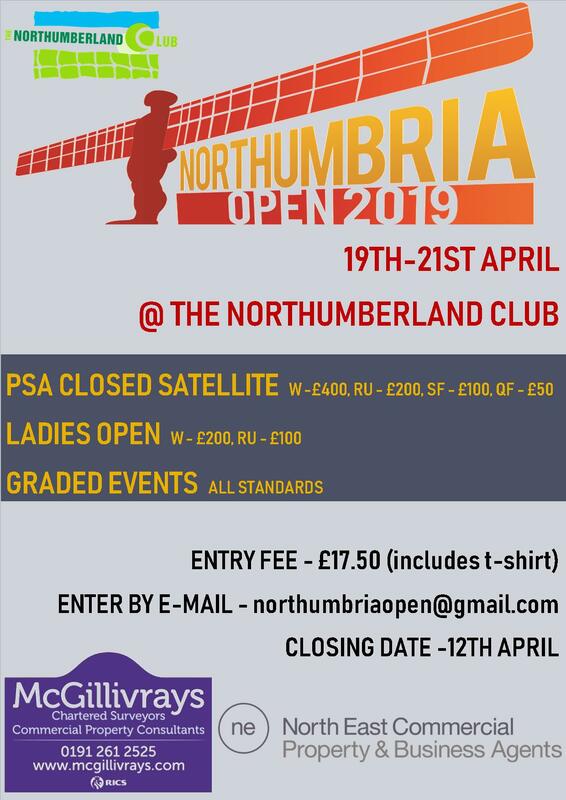 In the Men’s PSA Closed Satellite event, no.1 seed and world ranked 94 Joel Hinds will be hoping to add the Northumbria Open title to the two tour titles he collected in 2014, the Seattle Open, USA, and Estarreja Challenger, Portugal. We welcome no.2 seed and wr179 Micah Franklin, who represented Bermuda at the Commonwealth Games 2014 in Glasgow. The charge to be crowned Ladies Open champion is led by no.1 seed Victoria Bell, who is the current Ladies County Champion of Cumbria. 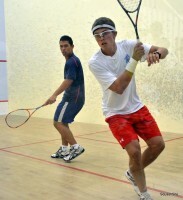 Our own Sam Ward, a former County #1, and England International, is our no.2 seed. If all goes to seeding, the semi-final match-ups look very interesting. 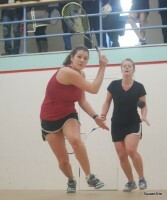 There are also full graded draws, represented by players from all around the region. 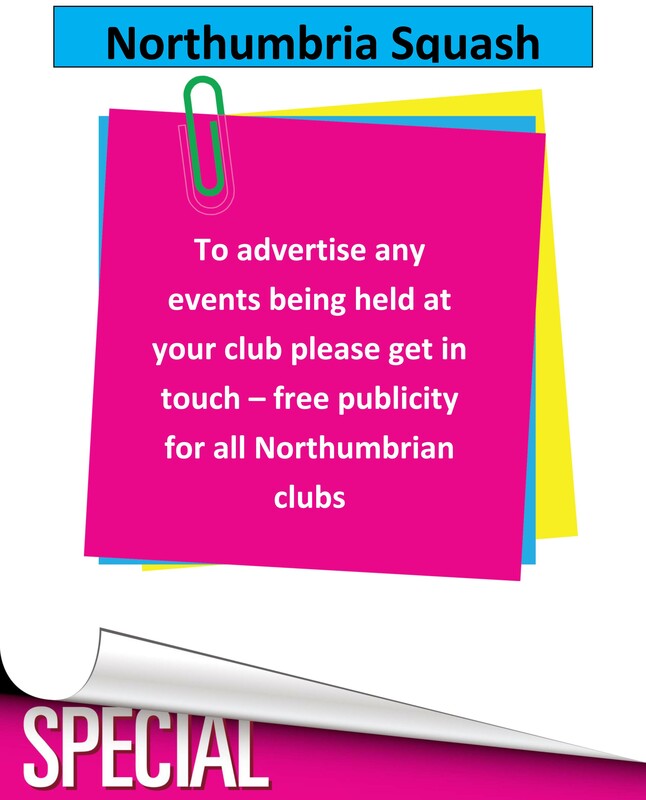 All spectators are welcome to The Northumberland Club, with the tournament commencing 6pm on Friday evening, and matches taking place throughout the weekend. The main finals are scheduled for 4pm onwards on Sunday afternoon.